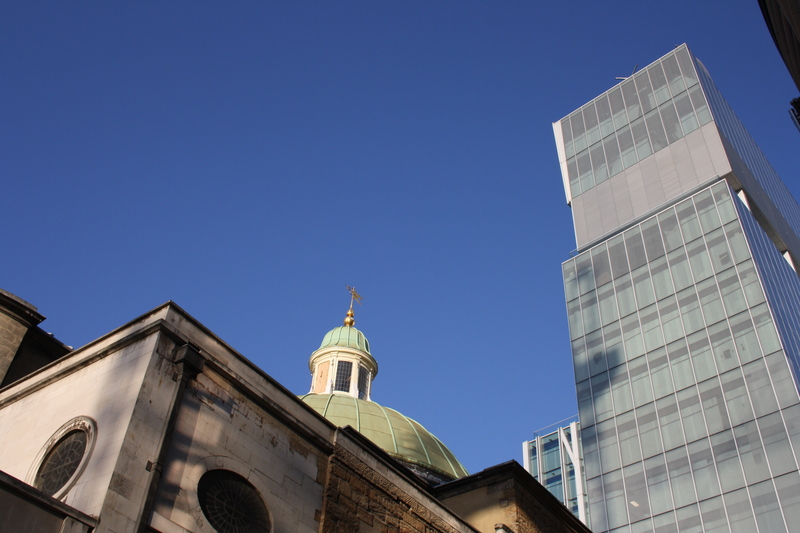 The original home of the Samaritans, St Stephen’s Walbrook, is now face to face with the City’s newest completed building, New Court, headquarters for Rothschilds Bank. The bank building is designed by Rem Koolhaas and the Office of Metropolitan Architecture. The top two floors are set apart from the rest of the building in an ever so slightly scary way. How do you turn Golden Lane Estate and the City of London into a transition town?